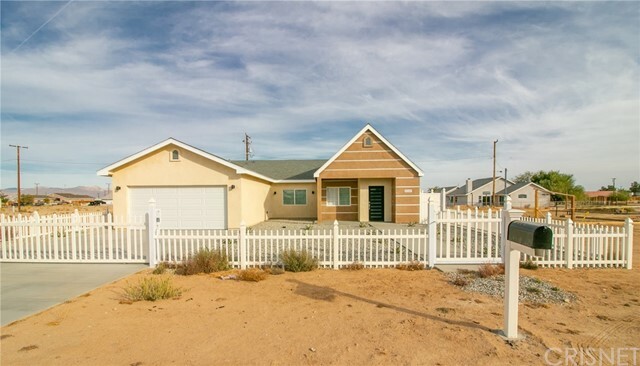 All California City homes currently listed for sale in California City as of 04/26/2019 are shown below. You can change the search criteria at any time by pressing the 'Change Search' button below. 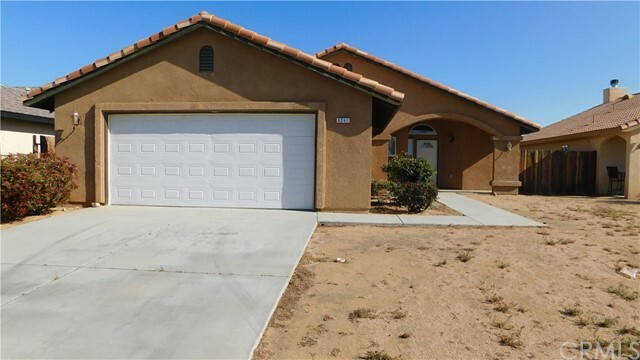 If you have any questions or you would like more information about any California City homes for sale or other California City real estate, please contact us and one of our knowledgeable California City REALTORS® would be pleased to assist you. "Beautiful. 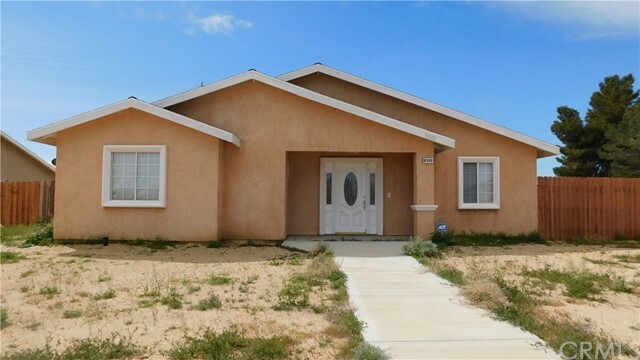 Two story property in the heart of the up and coming California City." 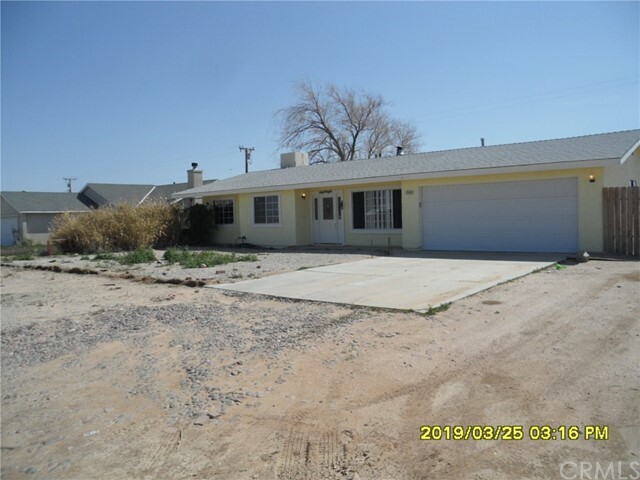 "A corner house sitting in over 10,000 sq ft lot, totally remodeled, 4 bedrooms, 2 bath house , with block fence and walking distance to a middle school is in the growing community of California City, waiting for the right buyer!!! You will love this house with new floorings, center island kitchen, stainless steel appliances. This house has an open floor plan, a living room and family room that includes everyone in a gathering.... Master bedroom is complete with a full bath, a bath tub, separate shower stall ,and double sinks. Another full bath is shared by the other bedrooms. Window shutters and blinds goes with the sale, Garage accessible thru the laundry room . The solar system that is paid for is installed on top of the tiled roof. A sliding door opens up to the covered patio towards its large backyard, and a spacious RV parking. An added feature...... This house has a driveway that can park 6 cars. Huge price reduction......sellers are very motivated!!! please send a reasonable offer"
"Beautiful custom home built in 2018 offers over 1800 sq ft of comfortable living space. Owner spared no attention to detail with all the amenities, high-end upgrades and 2x6 construction. Home offers an open floor plan with large kitchen with Quartz countertops, walk-in pantry, stainless steel appliances, and plenty of cabinet space. The large Master bedroom offers a private bathroom with separate tub and shower as well as a large walk-in closet. 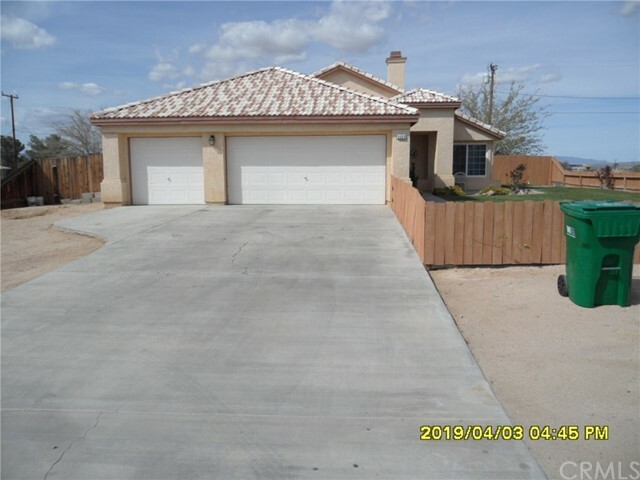 Home also offers a covered patio like no other, large bedrooms, upgraded bathrooms, recess lighting throughout, upgraded flooring and so much more. This is a must see!" "Large home on a corner lot. Kitchen has granite counter tops and breakfast bar. Fireplace separates the living area and family room. Master bedroom in back of home with three additional bedrooms to spread out. Completely fenced with the garage separated by a breeze way on side of the home. If you are looking for a newer comfortable home, this may be it. Call your realtor today." "Don't Miss Seeing this Property! Built in 1993, 1,729sq.ft. 4Bedrooms, 2Full Baths, & A Bonus Room. Extended Driveway, 3Car Partially Finishes Garage. Central Air & Evap Cooler. Natural Gas & Septic. Wood Fencing Front & Back. Tile Roof & Back Patio. Dual Fireplace, High Vaulted Ceilings. Ceramic Tile Flooring, Carpet & some Blinds thru-out. Kitchen has Granite Counter Tops w/Back Splash. All Appliances are included. Black Refrigerator, Stove, Dishwasher, Micro-Wave, Garbage Disposal, plenty of Oak Cabinets & Double Sinks. A Must See. Call Listing Agent for Appointment." 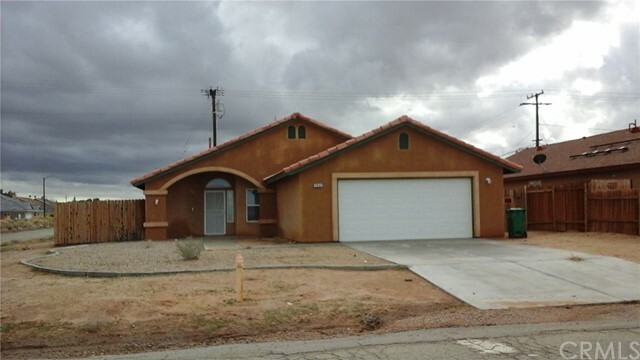 "Large four bedroom home with vaulted ceilings and open floor plan. Granite counter tops, kitchen island/bar and a nice sized dining area overlooking the backyard. Master bedroom has two closets and a en-suite with jetted tub. One bedroom separate from the other could make an office space or guest space. Make an appointment today." "This desert oasis is the one you've been looking for. 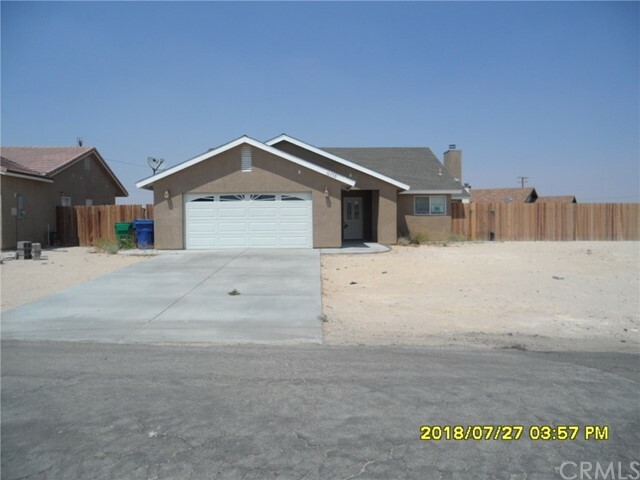 A circle driveway leads to the a gorgeous single story home with an additional detached garage/workshop Ready to move in, this home has enough space for easy living. Inviting living spaces with vaulted ceilings, large open kitchen. Master suite with fireplace, sliding door to rear yard, dual vanities, walk in closet and soaking tub. Featuring well manicured landscaping in front and rear yards. You'll fall in love with this property. Make an appointment today." "Make this incredible home ... your place to call home. 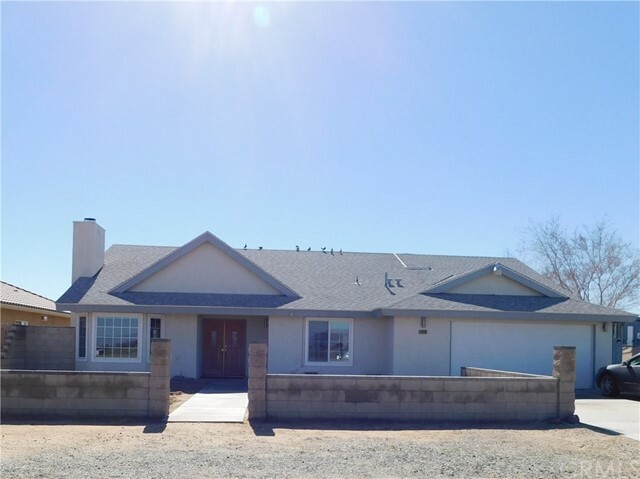 This unique custom ranch home has a beautiful dry stack rock accent exterior and a large approx. 342 sq ft porch on a corner lot. As you step into this elegant home it has so much to offer from its 9ft ceilings that give you the open floorplan and airy , with a great room that has a floor to ceiling dry stack rock fireplace, double french doors that goes out to your covered patio area in your large yard private fenced back yard. This large kitchen would be a chef's delight with granite counter tops with a tiled backsplash. Newer double oven, center-island with gas cooktop and tons of cabinet space plus a huge walk-in pantry. Large breakfast bar to enjoy. Recessed lighting though out home. As you enter to the large master bedroom there's bay window with a french door that goes out to your patio area. Then enjoy your large master bath with separate enclosed shower and tub. Vanity with double sinks. Linen cabinets for extra storage and a huge walk in closet. Also has 2 more spacious bedrooms and baths for family and/or friends. Large laundry room with lots of cabinet space. 750 sq ft 3-Car attached garage finished and sectional garage doors. This home has so much more to offer, please go check it out today before it's gone." "'Wow!! !, Wow!! !, ''Wow!!! This home will make you say WOW!!! Don't let this opportunity pass you by. This home has several upgrades. Just to mention a few. The porch walkway has a stamped design leading to the front door. The home opens up to Gorgeously designed wood flooring at the entrance of the home. It has Granite flooring in the living room 20x20) That carries shine throughout the room, granite counter tops, Granite fireplace, and yes!!! Granite window sills, and for the jade lovers you don't want to miss this shower that is covered with Jade on the shower walls in the master bathroom. It also has his and hers sinks. There is Wood flooring in the kitchen, formal dining area and the family room. Skylights in several rooms. 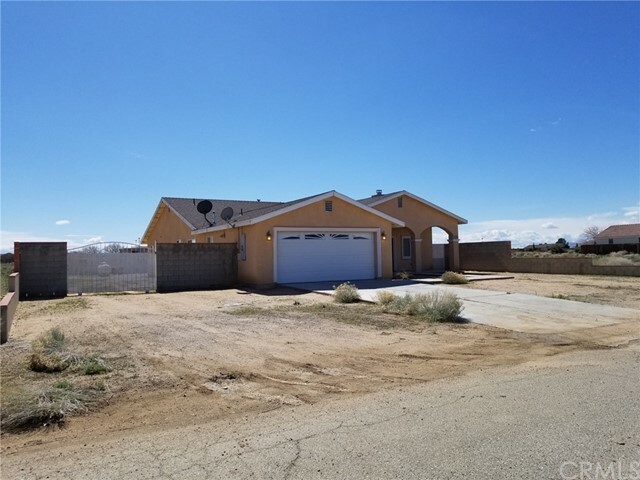 Beautifully designed Double glass doors leading to the More..."
"This home features a large backyard with pool, covered patio, rv parking and block wall. Located on a cul-de-sac. Popular floor plan with laundry room, bonus room off the laundry and entry to garage, formal living room and large family room with brick fireplace and sliding glass door to side yard with covered patio. Kitchen has plenty of oak cabinets and long counter open to the family room. Two bedrooms and bath off the hallway leading to the master bedroom. Master has sliding glass door the back yard and a separate sitting area/room. Master bath has large walk in shower and walk in closet and a built in cabinet with an ironing board. Home as new windows and door, new garage door, new roof and new tile floor in entry and kitchen." 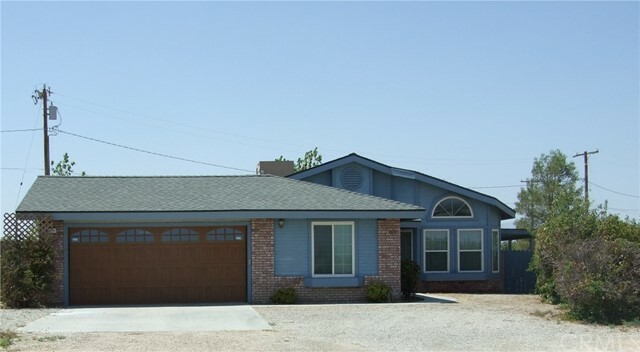 "Double entry doors and vaulted ceiling make this home seem bigger than it already is. Remodeled home with huge master suite, and extra-large second bedroom. Outside there is a storage shed, an enclosed play area, and a dog run. Quiet neighborhood with views, yet close to town and schools. Easy commute to the base. Make an appointment to see this one!" 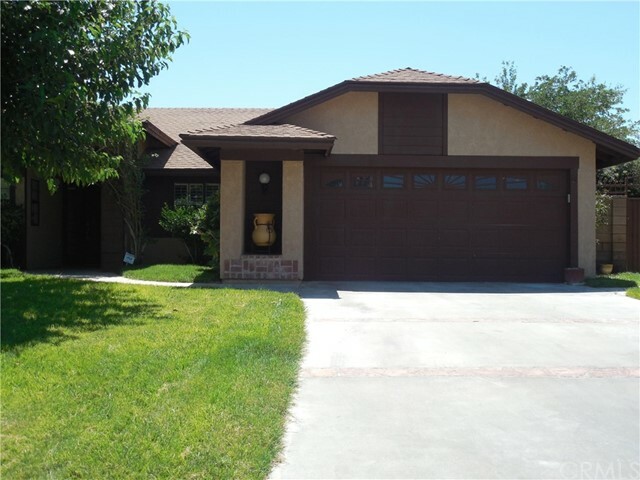 "Tastefully remodeled home with dark Pergo flooring throughout. New cabinets and white granite counter tops in the kitchen and bathrooms. Kitchen has nice sized island for easy entertaining. French doors leading out to a large yard with block fencing. Lots of storage with pantry and indoor laundry room. Garage is insulated and sheet rocked ready for the weekend mechanic. Upgrades throughout. Ready to move in today!" "Seller intends to complete a 1031 Tax Exchange. 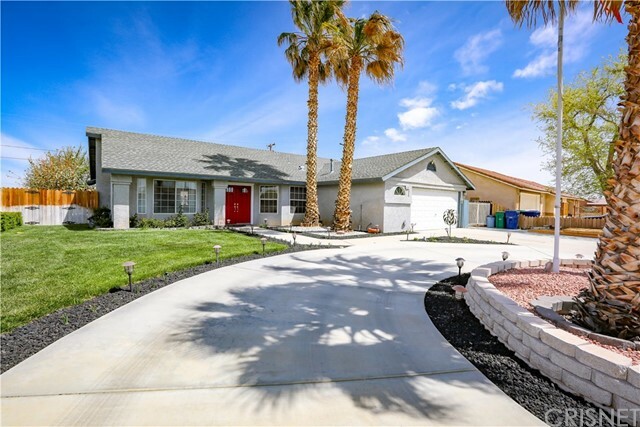 You won't want to Miss this Turnkey 4 Bedroom, 2 Baths Home. Built in 2007, 1,735 Sq.Ft. Comp Roof, Finished 2 Car Garage. Nature Gas, Septic, RV Parking. Small Covered Porch in Front w/Rock Landscaping. Wooden Fenced & Block Wall. Inside Freshly Painted. New Floors, Carpet, Tile & Laminate Wood thru-out. Recess lighting, Blinds & New Ceiling Fans. Nice Fireplace in Living Room. A Beautiful Kitchen w/Lots of Honey Oak Cabinets. All New Stainless Steel Appliances (Stove, Refrigerator, Dishwasher, Micro-Wave, Garbage Disposal, Granite Counter Tops & New Double Sinks). 2 New Toilets in Master & Guest Bathrooms. New Counter Tops, Floors & Medicine Cabinets. A Must See! Middle School across from property." "Quiet neighborhood in north California City. 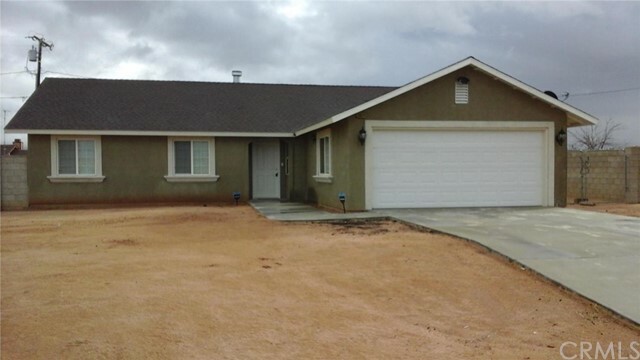 Nice 3 bedroom, 2 bath home with split floor plan. Kitchen opens the to family room with a cozy fireplace. Laundry closet off of the kitchen. Lots of storage, including a pantry closet. Zero landscape that could be the beginning of a beautiful garden. Good for a starter home or downsizing. Take a look." 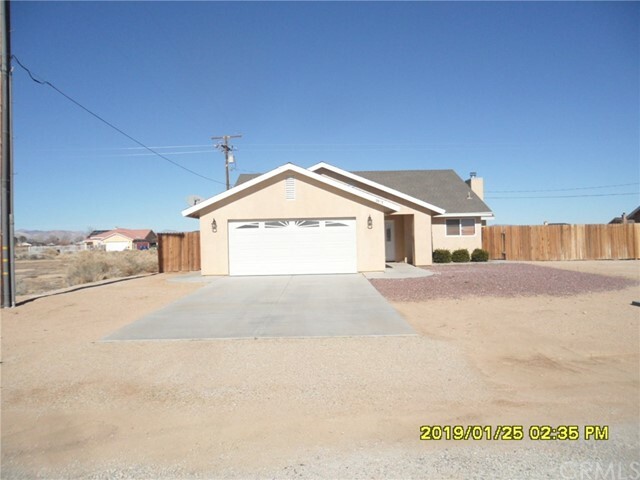 "Like new home with easy commute to Mojave Airport, the mine, or the base. Corner lot. Vaulted ceilings and pot shelves for the home decorator. Split floor plan. Master bedroom with en suite and walk in closet. Enclosed back yard." "Don't Miss Seeing This One! Seller intends to complete a 1031 tax Exchange. Built in 2007, 1,466 Sq.Ft. Comp Roof, Extension Driveway, Finished 2Car Garage. Some Lawn & Desert Rock Landscaping. Covered Patio, few Trees, Large Back Yard with Wooden Fencing. Septic & Natural Gas & Central Air. Split Floor Plan. Freshly Painted thru-out. 3Bedrooms & 2Baths & Laundry Room. New Carpet & Wood/Tile Flooring. Wood Blinds & Ceiling Fans thru-out & Both Baths have Granite Counter Tops & Walk in Showers & Tubs. Kitchen has all New Stainless Steel Appliances, Stove, Double Sinks, Dishwasher, Double Door Refrigerator. Granite Tops, Garbage Disposal. Lots of Dark Oak Cabinets & Micro-Wave. A Must See!" "Great home on a large corner lot with a drive through driveway. Enter through a quiet courtyard with mature climbing vines. Kitchen has stainless steel appliances in an open floor plan to the dining and family room. Wood burning fire place keeps the home warm in the winter. Attached is a room that can serve as additional living room with slider to the back yard. Master bedroom with double doors and pot shelves. Back yard has two good sized side yards to divide however it works for you with storage shed. Don't miss out on this one!" 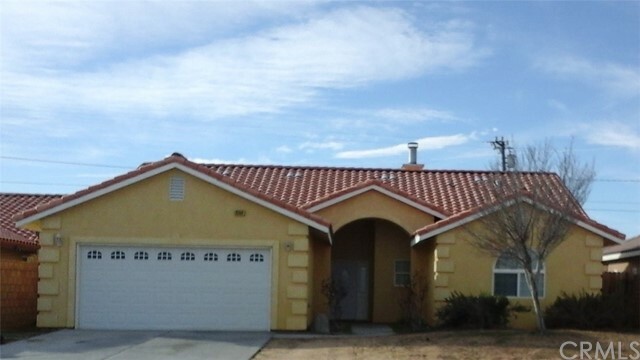 "4 bedrooms and 2 bath open floor plan home is walking distance from school. Large living space has stone counter tops, laminate hardwood flooring and tall ceilings. Bedrooms have spacious closets, with ceiling fans. This home is on natural gas and the owner put a gas line in the back for BBQ. RV access with privacy fencing all the way around the property. With the master bedroom on one side of the home it offers privacy. 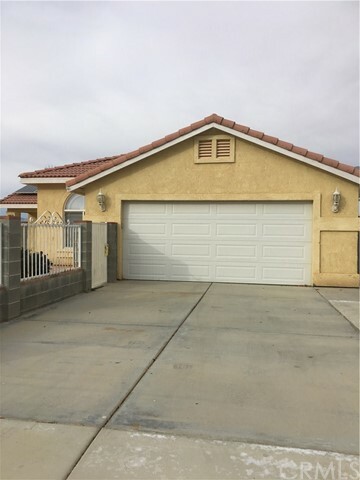 This property is move-in ready and has a seperate laundry room off the garage area and a alarm system that will remain with the home. It is fully fenced and has lots of outdoor living space. 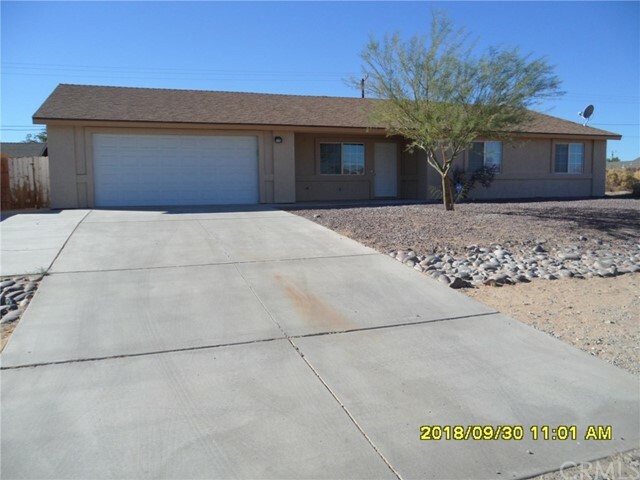 Association Amenities: None # of RV Spaces: 0 Special Features: CC,,WSECNONE Lot Location Type: Standard Location Special Features: Garage Door Opener # of Attached Spaces: 2 # of Detached Spaces: 0"
"Motivated seller!!! More BANG! for your BUCK!!! Custom built home in 2007! 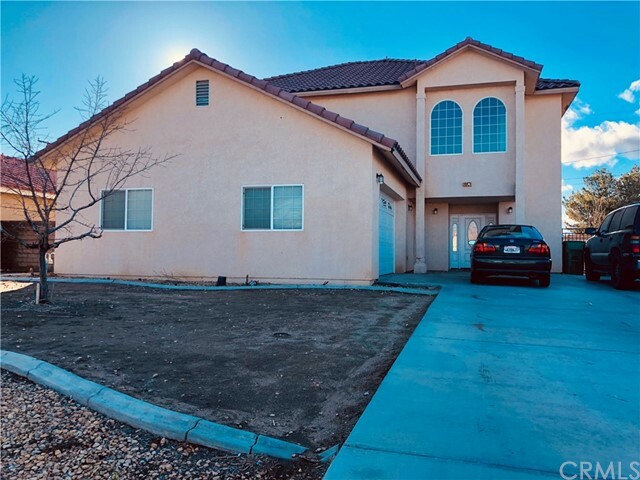 4 Beds 2.5 baths! 2,170 Square feet!! over 10,018 square foot lot!! Block wall all around! Near schools and shopping!" "Wonderful Single Story California City Home. 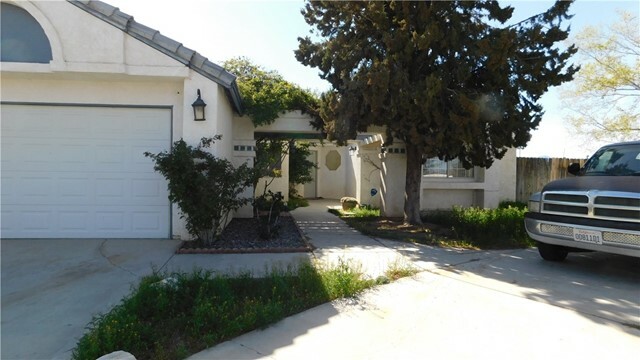 Located in a Desirable Neighborhood is this Updated Cozy Home Featuring Updated Kitchen. Smooth Ceilings, Updated Bathrooms, Updated Flooring,Recessed Lighting, Formal Dining, Dual Pane Windows. Very quiet location with Scenic Mountain Views! Must see you will love this Home. This Home Will Not Last!" "A Must See! Seller intends to complete a 1031 Tax Exchange. Built 2001, 1,614 sq.ft. Freshly painted inside & outside. 2 Car Garage. Block Wall & Wood Fencing. Extended Driveway. Front has Desert Landscaping (Bark & Rock). Septic & Propane & Central Air. 4 Bedrooms & 5th Room for an Office. New Flooring Wood/Tile & Carpet. New Blinds, Ceiling Fans thru-out. All New Kitchen appliance, all Stainless Steel, Dishwasher, Stove, Micro-Wave. New Counter Tops. Kitchen Island. Oak Cabinets & Recess Lighting. All New Toilets. Large Master Walk-In Closet. Comp Roof. A Must See!" 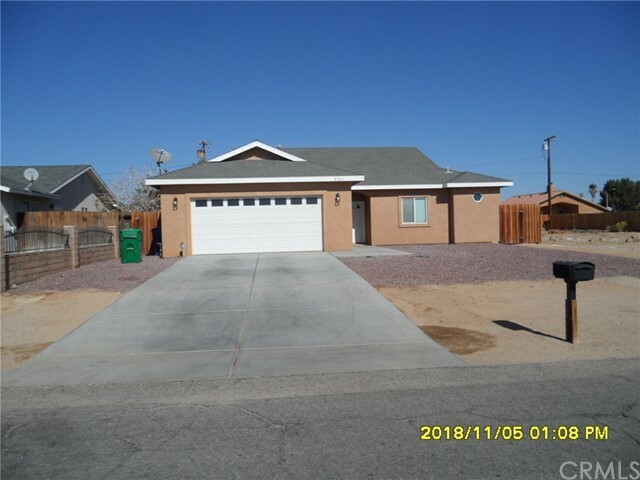 "Here is a great opportunity to own a beautiful 3 bedroom/3 bath home that has been tastefully remodeled and boasts a spacious floor plan with new tile flooring, granite counter tops, new windows, new stucco, new ceiling fans, Remodeled fireplace and remodeled tub/shower in bathroom., new paint and landscaping, new wrought-iron fencing with block wall and on natural gas!! The cherry on the top is that is zoned Commercial giving an amazing opportunity for business entrepreneurs. Don't let this amazing opportunity pass you by!!" "A must see! 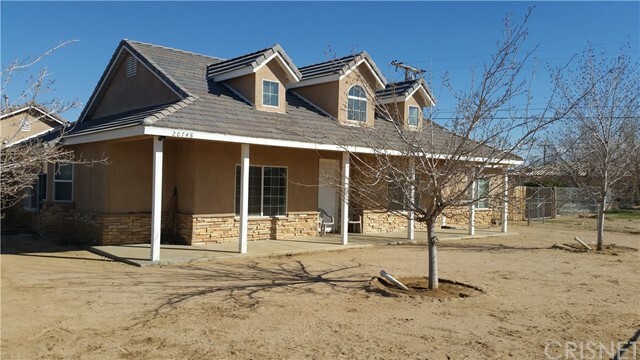 1678 sqft built in 2007, 4 good size bedrooms with large closets. 2 baths. 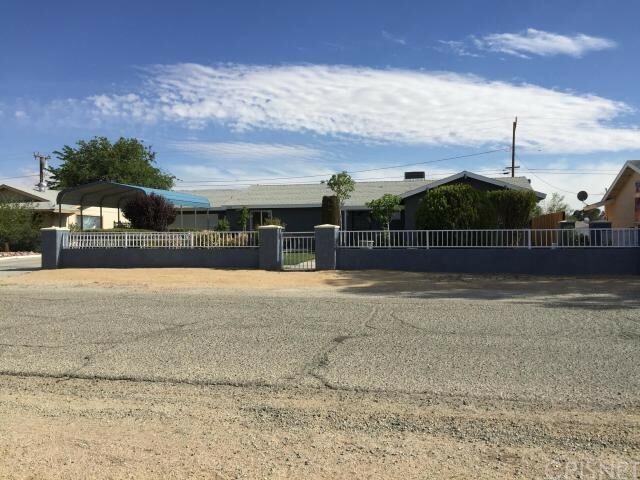 Large corner lot, comp roof, large finished garage, with washer and dryer hook ups. RV parking, wood fencing. Propane, septic, and central air and extended driveway. Inside freshly painted, carpet, laminated wood and tile flooring. Wooden blinds plus ceiling fans thru-out. Fireplace in the living room. Kitchen has lots of honey oak cabinets and stainless steel appliances, stove, refrigerator, microwave, white dishwasher, garbage disposal, double sinks, granite counter tops and recess lighting and large dining area. MOVE IN CONDITION!" "Make Your Appointment Today! A Must See. Built in 1979, 1,604 sq.ft. 5Bedrooms & 3Full Baths. Entire outside of Home has been Freshly Painted. New Carpet & Tile & Vinyl Flooring thru-out. All Rooms are different colors, but in good taste, and thru-out Ceiling Fans.. The Kitchen is the Highlight of the Property, Lots of Honey Oak Cabinets, Double Sinks, Dishwasher, Tile Counter Tops. Double Oven & counter Top Range, Micro-Wave w/Hood & Garbage Disposal. Laundry -Room w/Washer Dryer Hook Ups & Utility Sink. All Bedrooms have New Carpet. Large Back Yard w/Jungle Gym for Kids. Comp Roof, 2 Car Partially Finished Garage. Propane & Septic & Wood-Burning Stove. Some minor repairs & Yard clean-up. Don't Miss Seeing This One!"